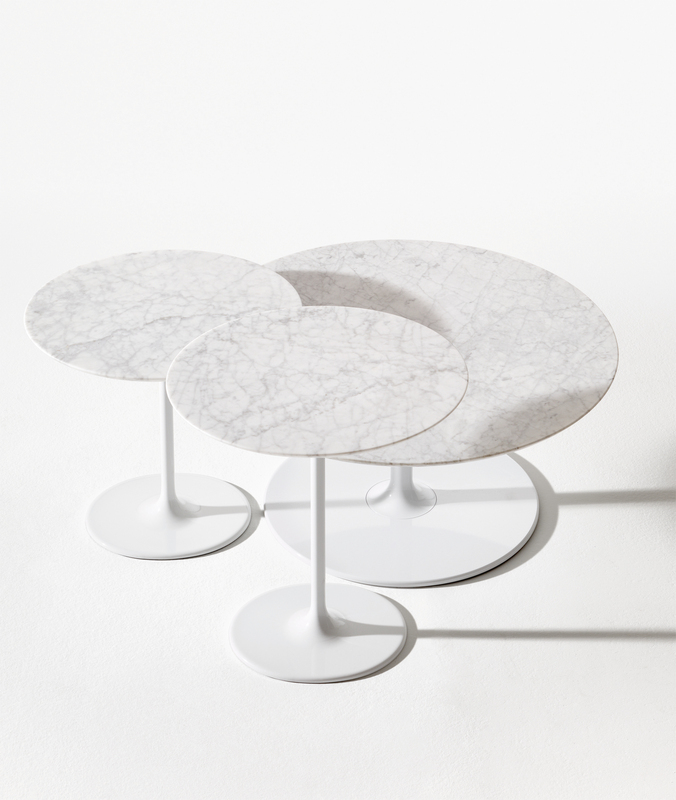 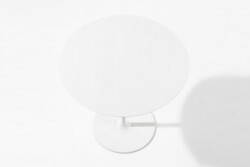 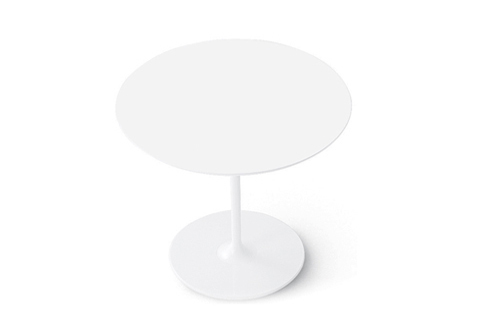 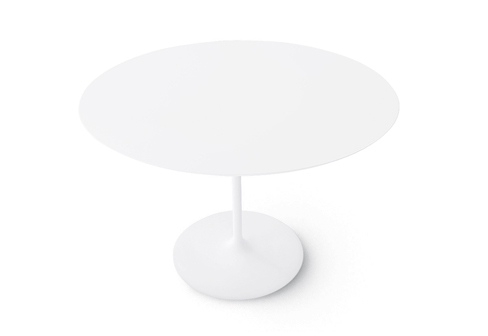 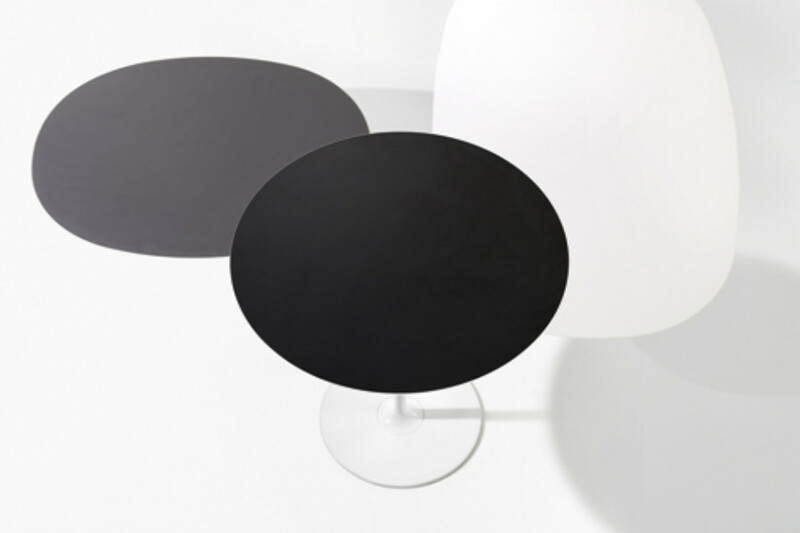 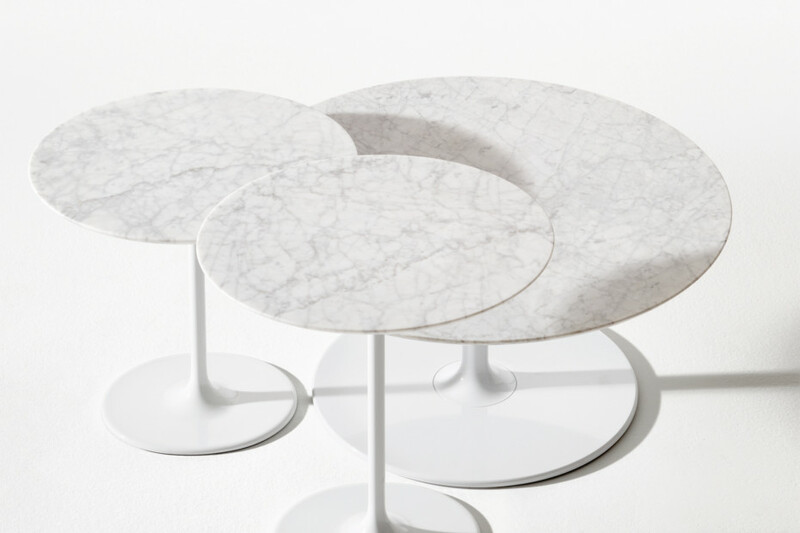 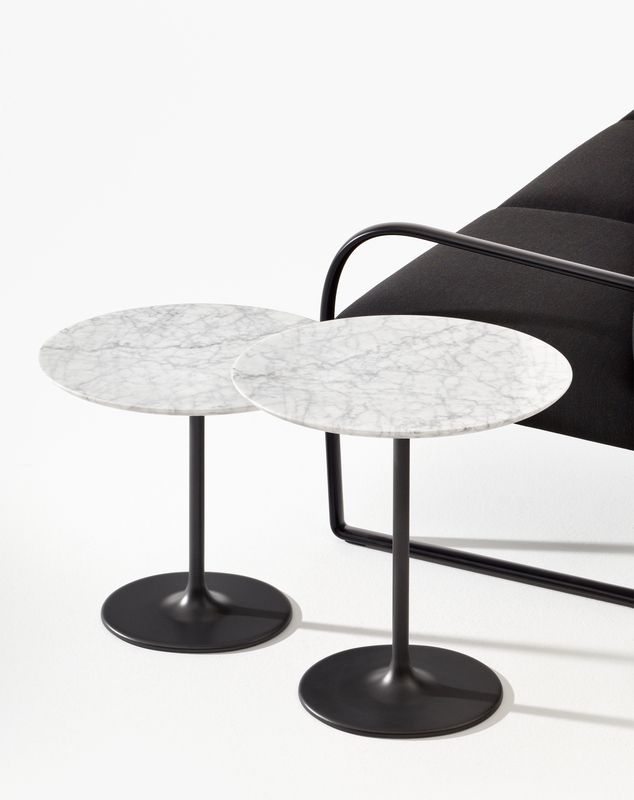 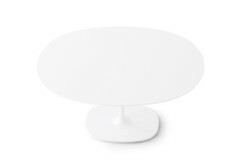 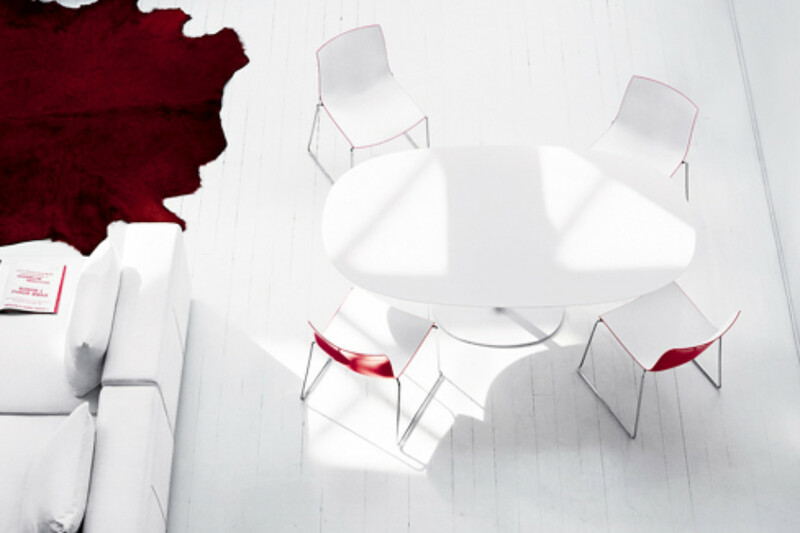 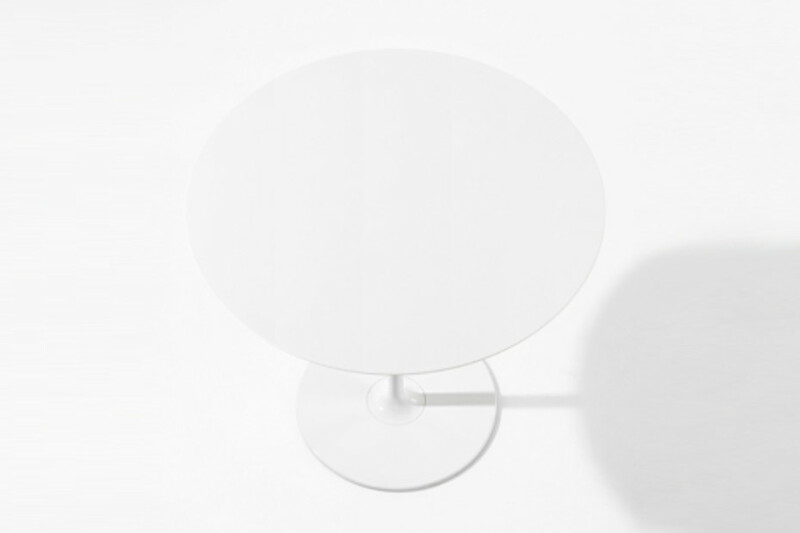 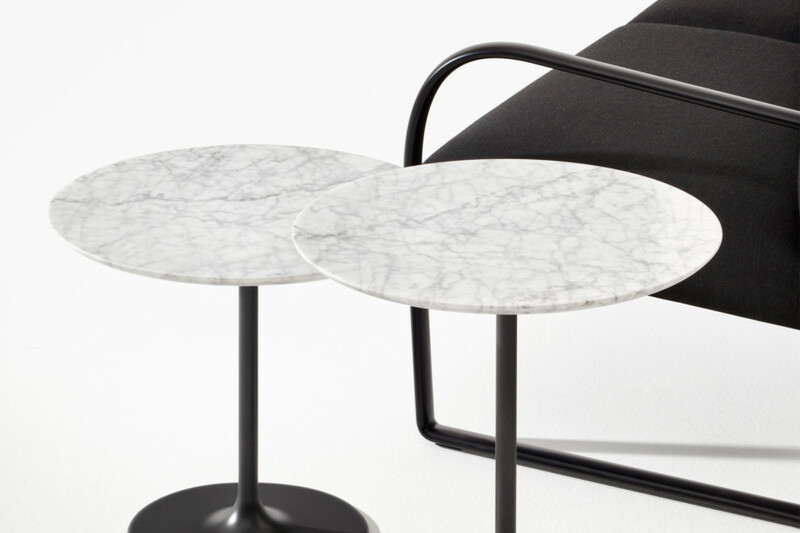 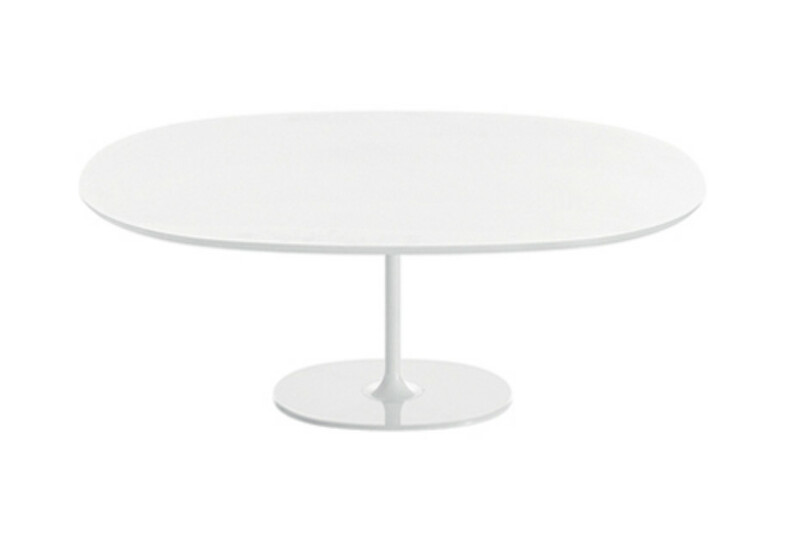 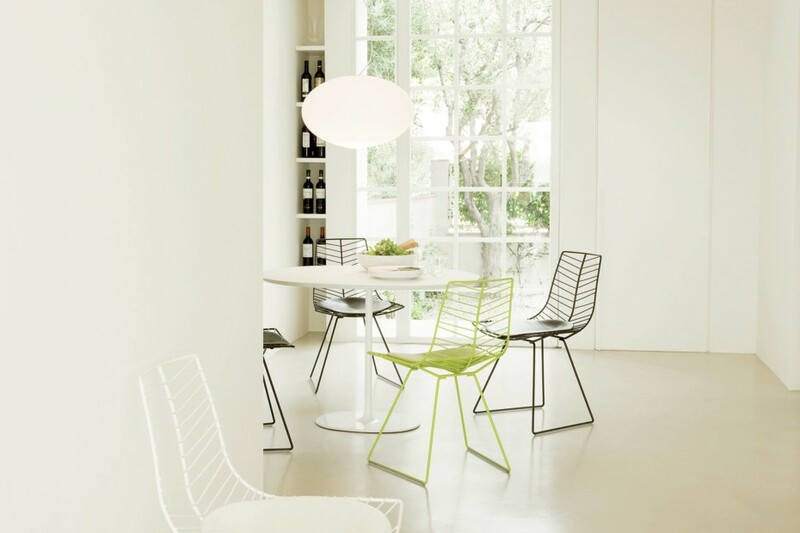 Table with oval, round or square base in chromed or white lacquered steel. 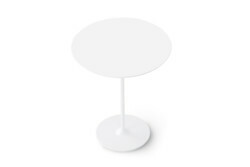 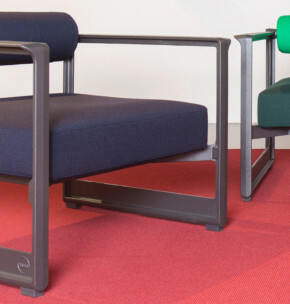 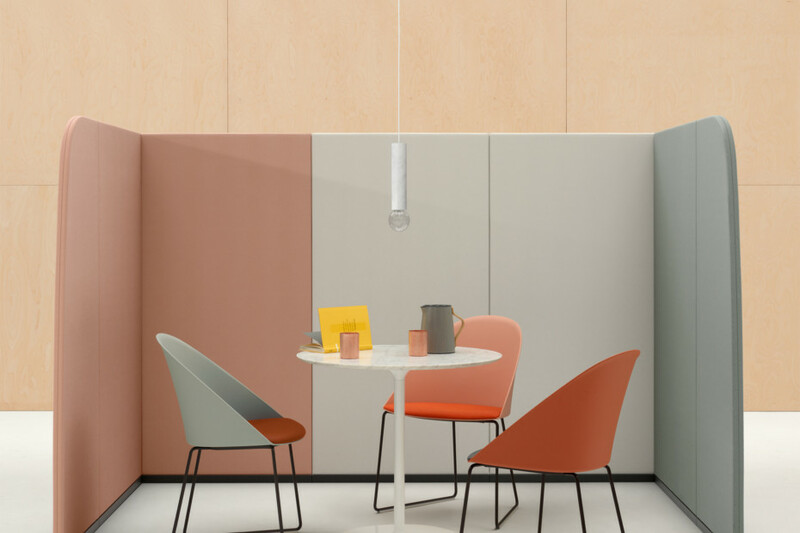 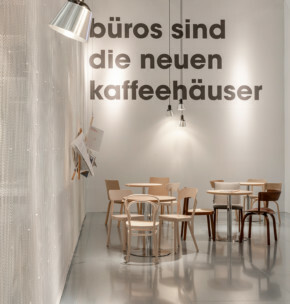 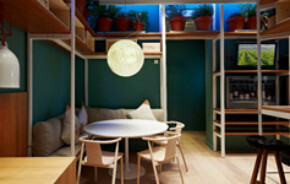 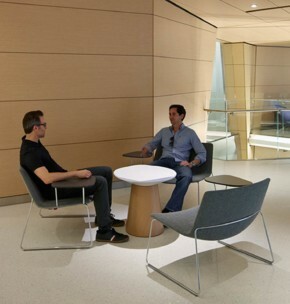 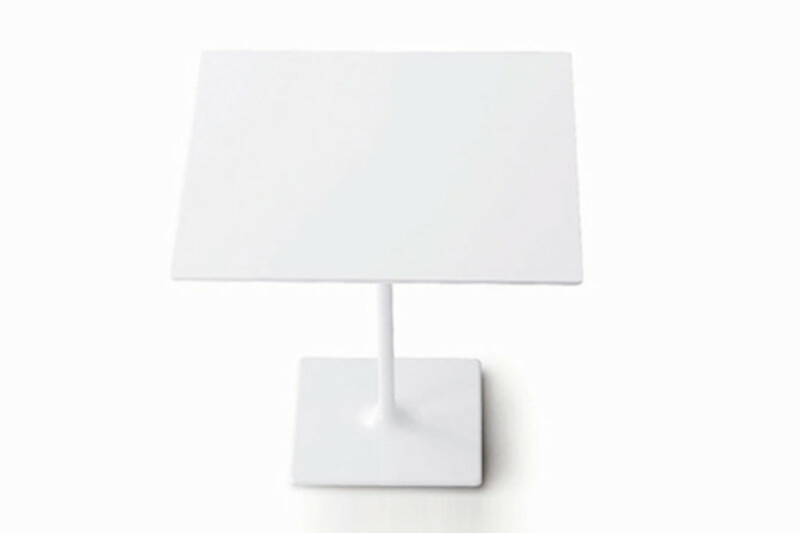 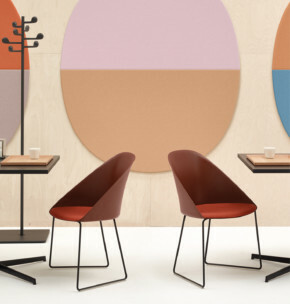 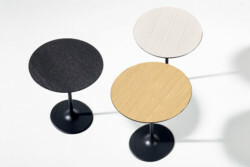 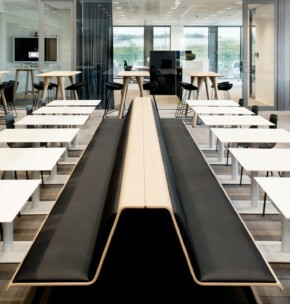 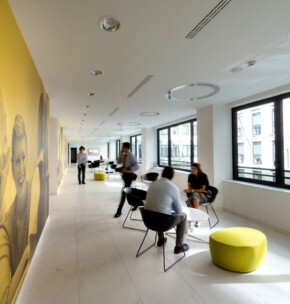 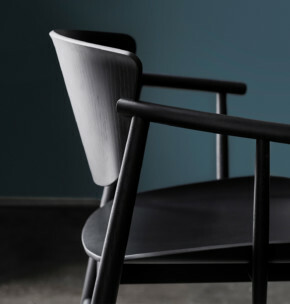 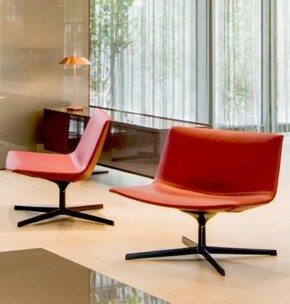 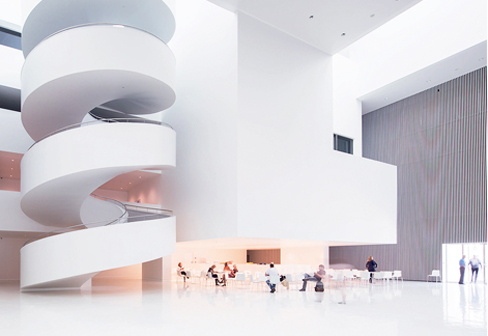 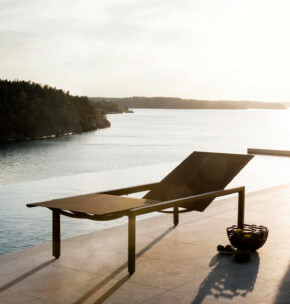 The top is available in white embossed lacquered MDF or in laminate, in different shapes and sizes: oval, round or square. 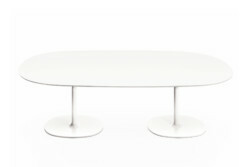 Height 74 cm - 29 1/8".